Easy Beginner Alcohol Ink and Air - A course in Play and Letting loose. This course is all about PLAY, and is less structured than my other step by classes. 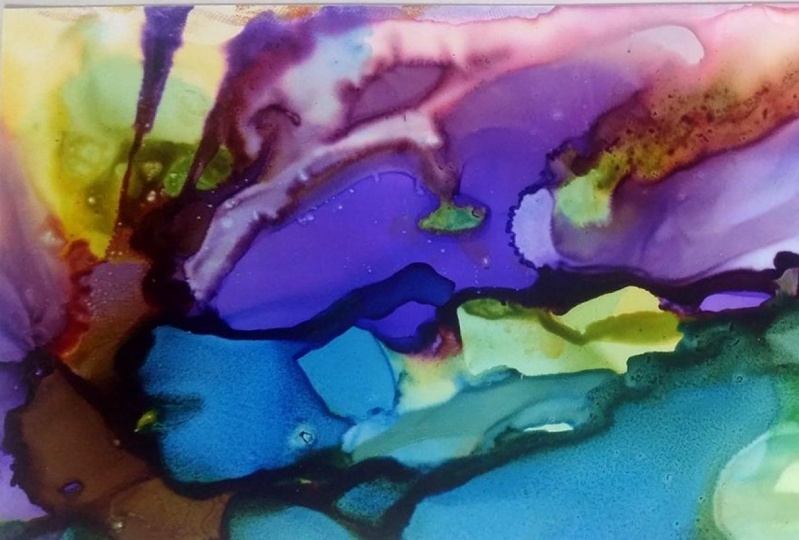 Alcohol Ink is also a great medium to help more detailed artists loosen up with Artist and Instructor Kellie Chasse! I'll have a full list of materials as well as links to a number of the products used in the videos! I'll show you some really easy ways, we'll play with Air to create a fun, exciting, and colorful abstract painting. Each and every piece you create will be different than mine. This is a personal journey to create , and your pieces will have your stamp on it or your own Art Expression. In this course we will loosen up our ideal self and learn to go where the paints take us. I'll be showing you how to work with a straw, canned air and lastly and my personal favorite, using a small mini air brush to blow the paints around using just air. Of course you can use other Air compressors. But the key is to play and test things out without fear. You'll notice I just go with the flow when creating these. Let go of your perfectionism in this class and say I CAN do this! This is an Beginner to Intermediate course for those of you that are new to Alcohol Inks or want to loosen up and have some play time with your art. This course is a great introduction to using Alcohol Inks. It is for those of you that may not feel like you can draw, or just want to express yourself using colors. I also found Inks to be a wonderful way to explore my abstract side and they helped me become less controlled with my Watercolors. 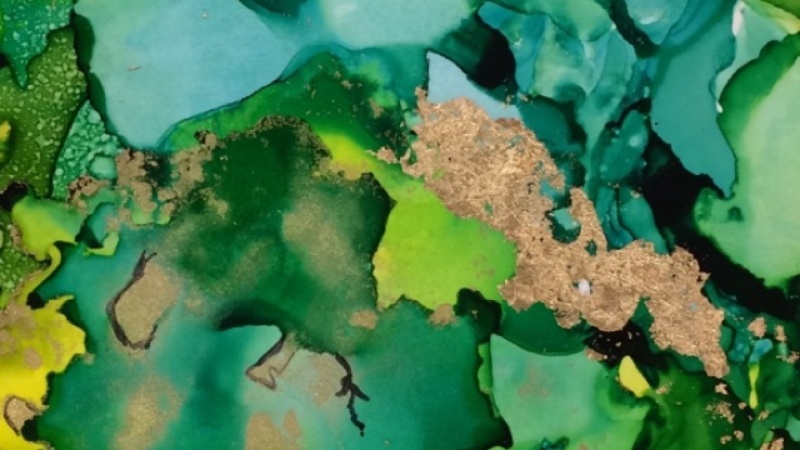 What alcohol inks are and the Materials needed. Discover how to use a straw, canned air and a small Air Compressor to move the inks. In this course I will explain my process and will cover 6 simple/quick demo paintings each approximately 8-11 minutes long. 2 Demo lectures will be on using a Straw 1 on Tile and one on Yupo. 3 Demos lectures on Yupo creating an Abstract, Sunset abstract, and a Seascape Abstract, using a Compact Air Brush. The course is best used to discover abstracts by playing being loose with colors and movement of the inks. An open mind is all you will need discover that Inks can be very self growth, therapeutic, and creative process. Alcohol Ink and Resin DIY Projects Drink Coasters and Knobs! Yupo Paper Full 60 Yard Roll - great for bigger projects and cutting into smaller sizes. Backer Board or something to tape down the paper on. Safety Note: When using paints and chemicals please adhere to any and all manufacturer safety guidelines with these products. If you have specific safety questions or concerns please contact the product's manufacturer. Happy Spring everyone - the highly anticipated Fluid Art Alcohol Ink Sealed with Resin course just went live!! In this course we'll cover everything you need to know about how to use Art Resin.